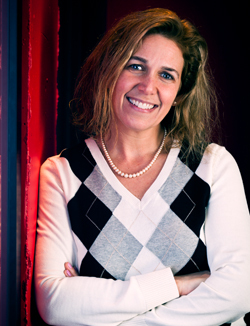 Heather Gay leads research initiatives for the Mediabarn UX Lab. She possesses an in-depth knowledge of user experience and industry research initiatives and has over 15 years of extensive knowledge managing a variety of user research projects. By performing a range of qualitative and quantitative methods, Gay has informed the creative process for new product development, website, and package design; uncovered trends; and tracked advertising effectiveness. Gay has traveled nationally and internationally to moderate more than 3,500 research interviews, focus groups, and ideation sessions. Over the course of her career, Gay has conducted usability test initiatives for companies such as Gap Inc., Johnson & Johnson, PBS KIDS, Wells Fargo Bank, AARP, United States Patent & Trademark Office, Council of Better Business Bureaus, Discovery Communications, and UPS. Gay has a B.A. in international relations with a minor in psychology from The George Washington University and an MBA with an emphasis in marketing from the University of San Francisco. Deaven will present on Tuesday, March 19 from 9:45 a.m. - 11:00 a.m. in room 206 IST Building and Wednesday, March 20 from 9:05 a.m. - 9:55 a.m. in room 202 IST Building.